The White Wolves found themselves 2-0 down to Brigg Town Community Interest Club at half-time thanks to Reece Moody’s double. Ryan Thompson gave Louth a mountain to climb when he made it 2-0 after the break, but Rocky Rawlings did pull a goal back for Town. But any hopes of a comeback were deflated when Moody completed his hat-trick from the penalty spot. Rawlings grabbed another with 25 minutes left, but the White Wolves failed to take advantage of the extra man after Brigg had Sam East sent off for two bookable offences. 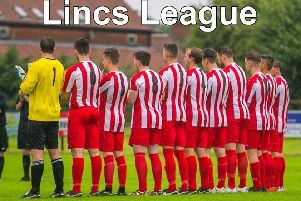 Louth went into the tie with back-to-back wins in the Lincolnshire League and will hope to extend that run as they go into their final three games of the campaign. After a weekend off, Louth return with three successive home games, starting with the visit of title-chasing Gainsborough Trinity Reserves on Saturday, April 6. They then host bottom side Grimsby Borough Reserves in a battle of the basement seven days later, before finishing at Saltfleetby against title favourites Lincoln Moorlands Railway on Saturday, April 20.